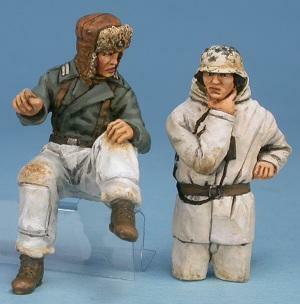 Gaso.Line specialises in 1/48 scale resin kits, conversions and figure sets. 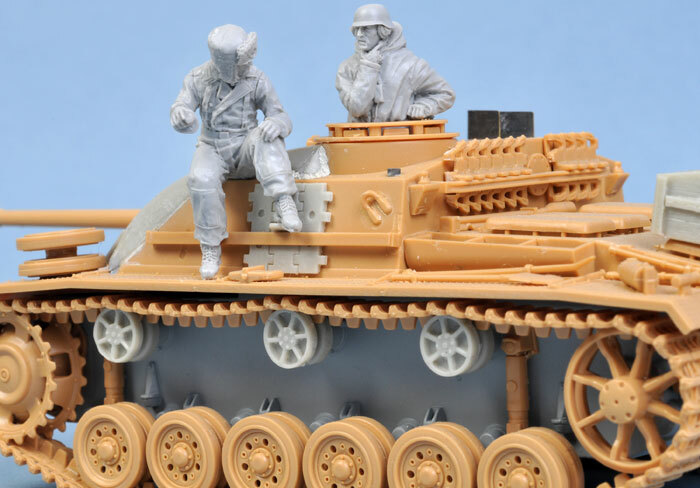 Two of their most recent releases are crew sets for German vehicles. The first of these is a four man crew in standard mid to late war tanker's uniforms. These are specificed as a Panther crew but they could easily be adapted to other vehicles too. Two full figures are supplied for the commander and gunner. 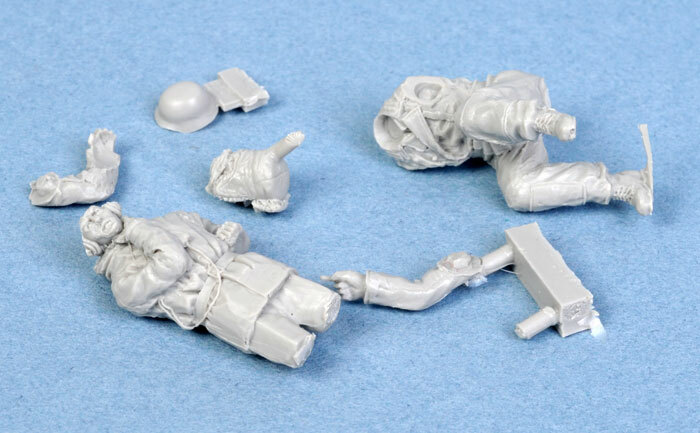 These two resin figures are scanning the skies, so they would be ideal for a Normandy scene. The driver and radio operator are provided as torsos. All figures are supplied as one part each, and cleanup will be very straightforward with just a little feathery resin "flash" and narrow casting sprues. Two delicate headsets are also supplied as separate parts - nice touch. 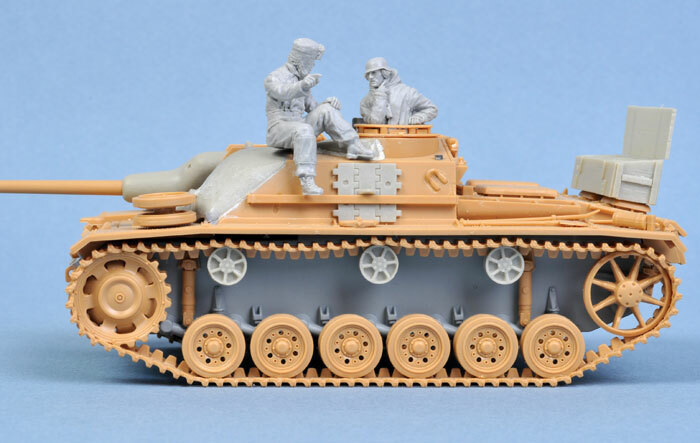 The second set is designed as a two-man winter crew for Tamiya's StuG III Ausf.G. One full figure is seated on the roof, while a three-quarter figure completes this set. The winter gear will add real context to your model. This set is broken down into six resin parts. The arms and helmet of the seated figure are cast separately, while the standing crew member has a separate head. The poses of the figures in this set are nice and natural too. Casting quality of both sets is very good. I could not find any pin holes on the resin parts - very impressive. 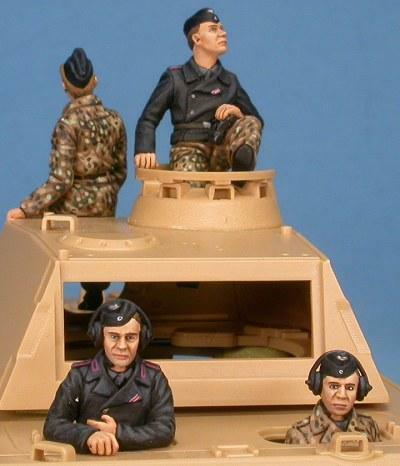 I could not resist assembling the StuG crew and see how they looked in my almost complete but unpainted StuG III G.
Cleanup was very fast and the two figures were completed within minutes. A little more time spent painting these figures should deliver a very satisfying result. The second figure is designed to sit in the loader's hatch but unfortunately I had already sealed mine, so my figure is perched next to the Commander near the front of the vehicle. I'll think about this a bit more before I paint and finish the vehicle and crew! 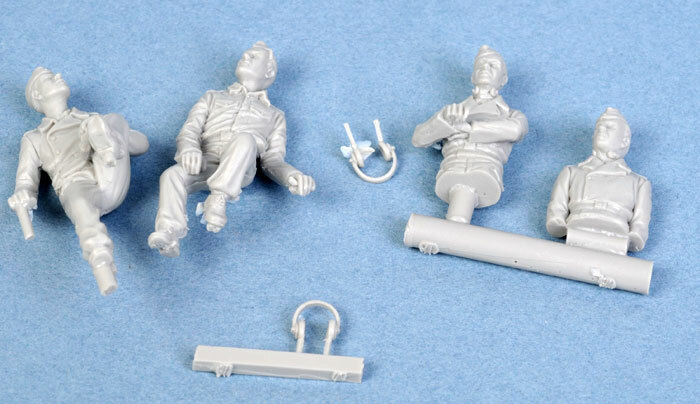 Both these figure sets are highly versatile and attractive little packages that will add a ton of personality to your 1/48 scale German vehicles.